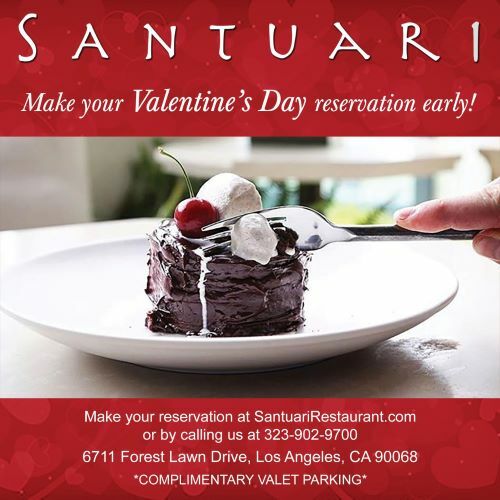 TOLUCA LAKE—Santuari Restaurant is offering patrons the opportunity to spend Valentine’s Day with them on Thursday, February 14th from 5:30 p.m. to 10:00 p.m. Santuari Restaurant would like to invite you to our first romantic Valentine’s Day Dinner starting at 5:30 p.m. Introducing Santuari Restaurant: Santuari Restaurant nestled in the beautiful city of Toluca Lake, SANTUARI RESTAURANT, an exquisite venue offering fresh Californian cuisine with delicious Mediterranean accents, is now open to the public for lunch, happy hour, and dinner. Lunch will commence from 11:30 a.m. to 3:00 p.m., with happy hour arriving from 3:00 p.m. to 7:00 p.m., and then from 5:30 p.m. to 10:00 p.m. dinner will conclude the night. 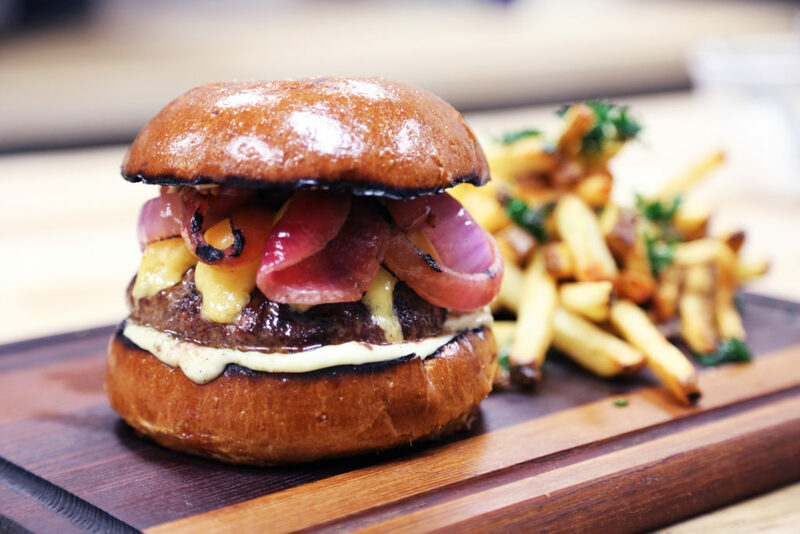 Recently announced as winner of “Best New Restaurant – 2018” by the “Best of Los Angeles Award” community, the newly renovated bar and lounge are highlighted by a specialty cocktail menu, as well as fresh approaches to classic cocktails, craft beers, and a boutique wine list. 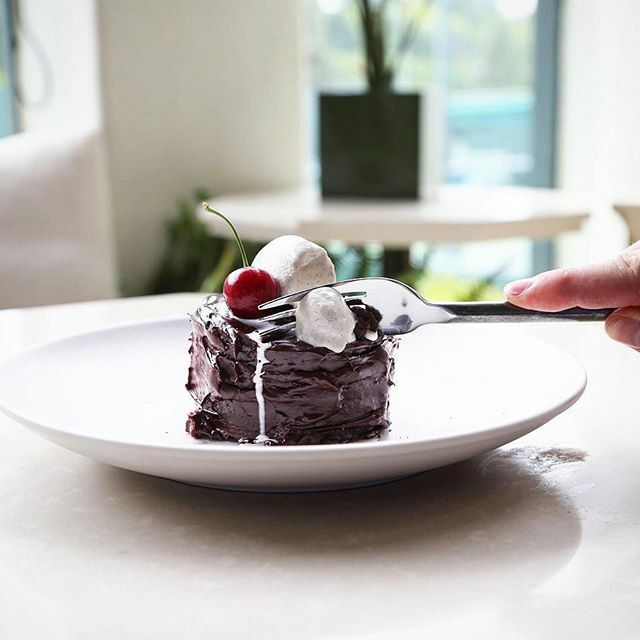 “Live your best life by enjoying bold flavors from our slow roasted short rib, our roasted chicken, or one of our signature desserts such as baklava cheesecake with crispy filo, local honey and candied walnuts or our black forest brownie with chocolate ganache and market cherries,” expresses Executive Chef Brendan Mica. 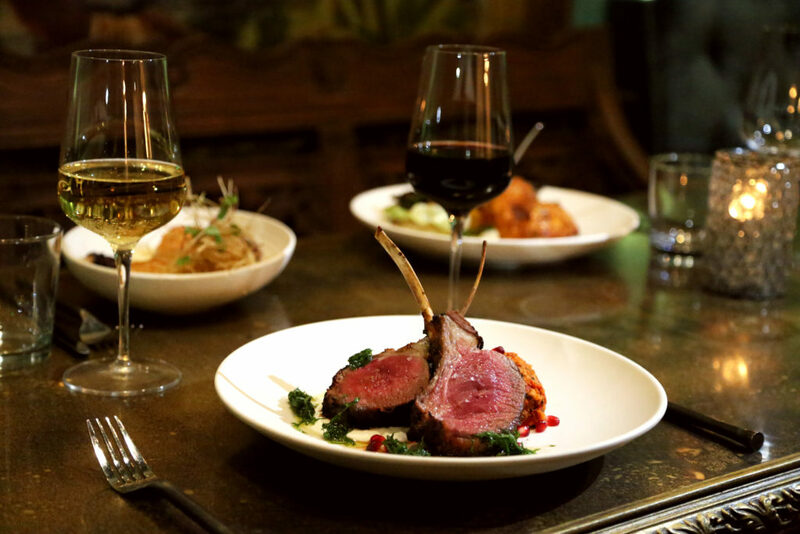 Santuari offers stunning dining and lounging areas and is the perfect way to treat yourself to an amazing lunch or dinner. Santuari Restaurant is located in the same building as The Toluca Lake Tennis & Fitness Club, The Toluca Plaza Building.